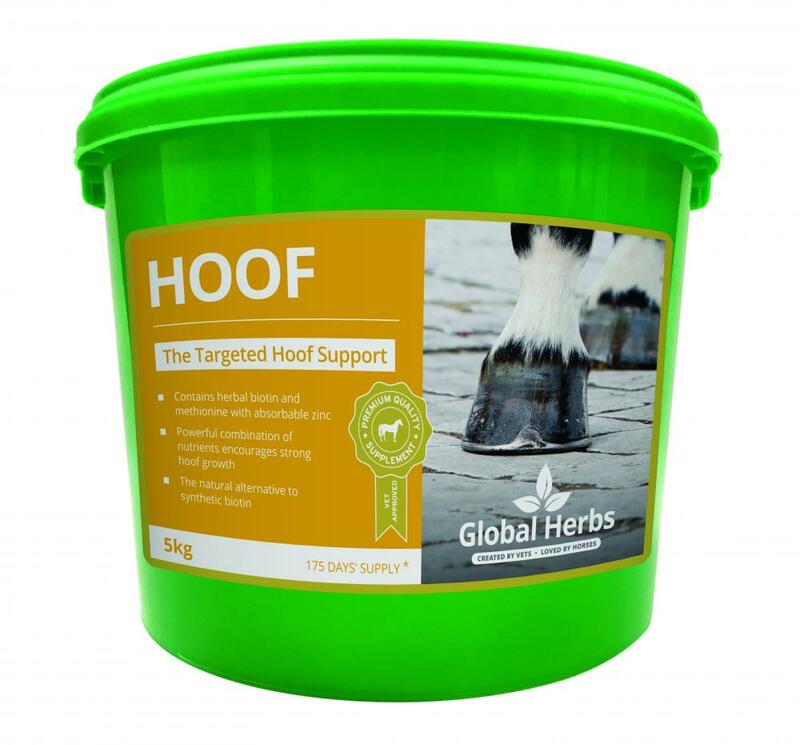 Global Herbs HOOF is a fast-acting, economical supplement which is made from special plant material that contains natural Biotin within the very plant itself. It is always best to feed nutrients in as natural a form as possible, and it is interesting to see the difference in hoof quality between horses that are allowed to graze as far as they like, on open range land, compared to housed and confined animals that are limited in what they are able to eat. HOOF is taken from plants that grow on the open African and Asian Savannah lands that horses love. It is still best if your horse can have access to as diverse grazing land as possible, but SupaHOOF can make all the difference. SupaHOOF is a suprisingly great value product that enables you to save your hard earned resources, but at the same time get rid of all hoof worries. For hoof condition use 2-4 level 25 ml scoops twice daily for a 500kg horse. It takes on average 9 months for hooves to be completely replaced. 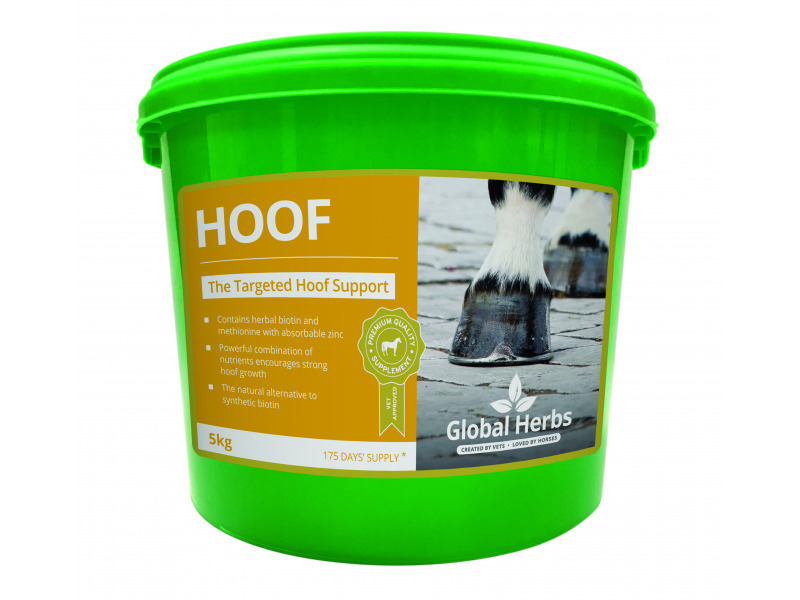 There are currently no questions for Global Herbs HOOF for Horses - be the first to ask one!